Main Page › Project › Main Projects › Allianz Ayudhya underscores its commitment to offering opportunity to Thai kids to learn outside classroom. Allianz Ayudhya underscores its commitment to offering opportunity to Thai kids to learn outside classroom. 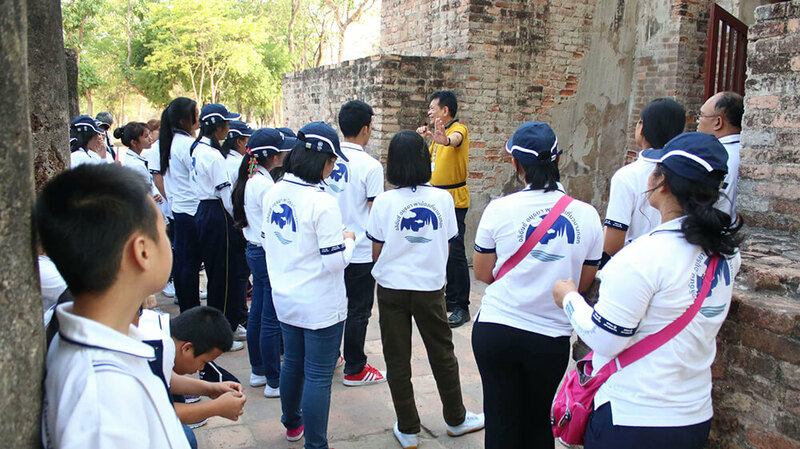 Allianz Ayudhya has organized Pa Nong Tiew Bangkok as one of the key Corporate Social Responsibility programs for over a decade, giving opportunities to 42,330 underprivileged fifth grade students in Bangkok to have a day trip to visit historical places in Rattanakosin Island, Bangkok, every weekend during Jun-Dec. The places that they visit are part of the history subject that they learn in class but they don’t have chance to see and experience them. 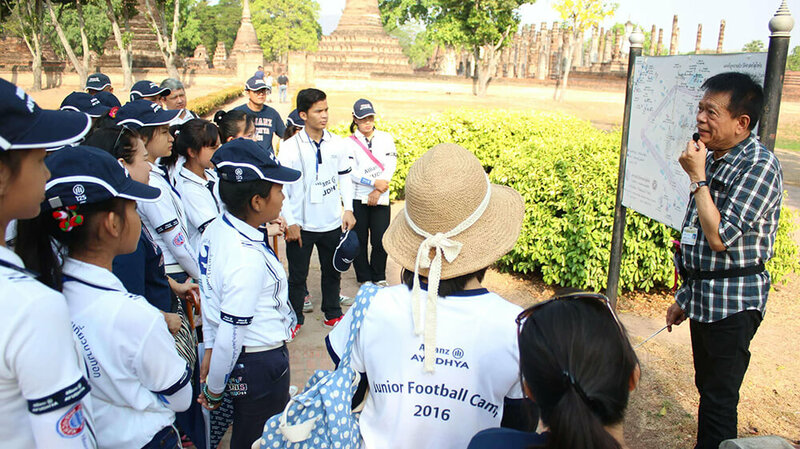 Beyond learning from visiting historical places, Allianz Ayudhya initiated “Young Guide” project for the interested children to take the course and practice being real guide. The project has been initiated since year 2011. 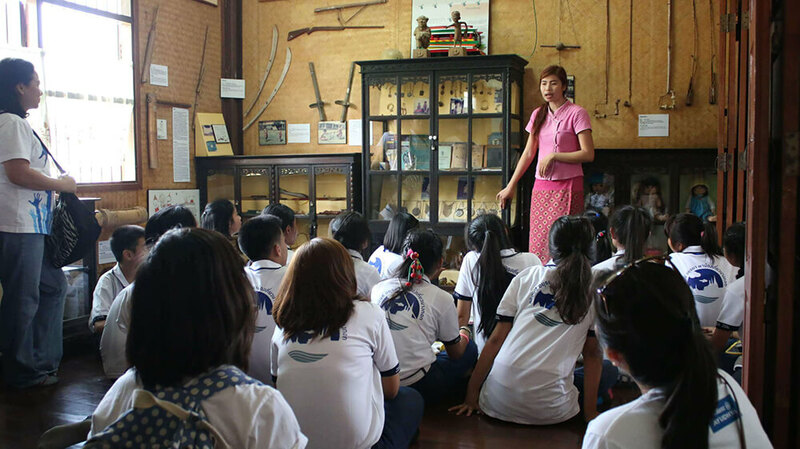 Since then, the program has offered over 50 students in Bangkok who have dreams and passion to be tour guide to participate in 80 hours history classes, and practice to present historical stories before working as real guide to the next generation of children during Pa Nong Tiew Bangkok trips. 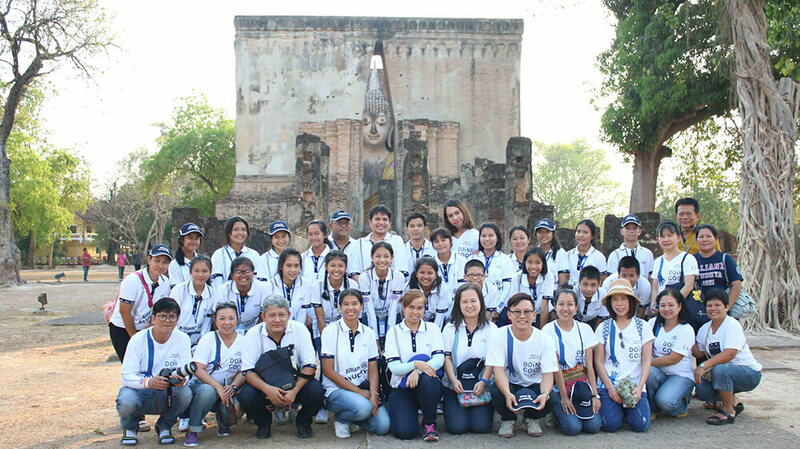 This year, we initiated new trip for total selected 20 young guides to visit historical sites out of Bangkok during 23-24 April. 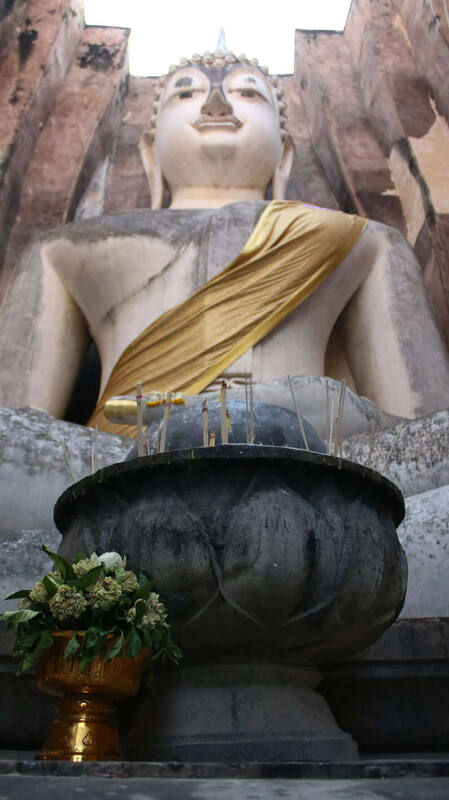 Three main provinces Sukothai, Kampangpetch and Phitsanulok, north of Thailand are selected to allow children to learn and experience more. 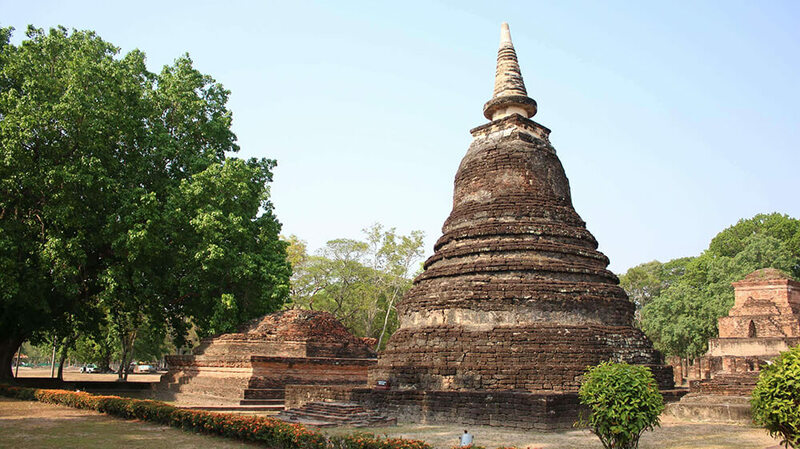 The kids had a chance to visit and learn and have first-hand experience on many well-known historical places, including the Sukhothai Historical Park, which was announced as World Heritage Site. 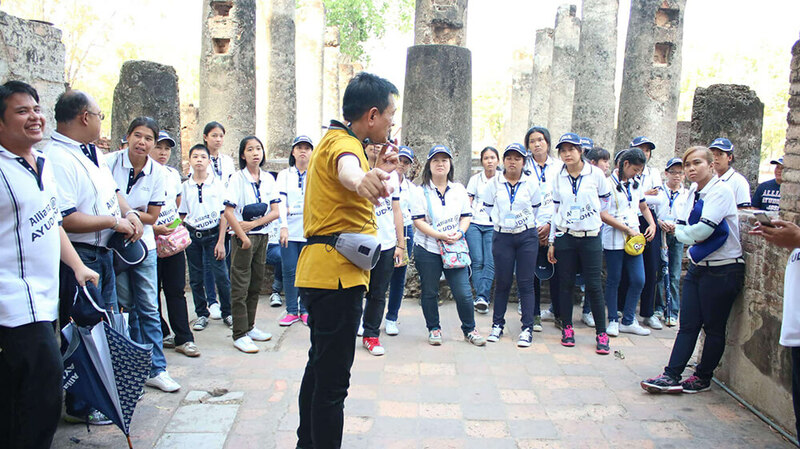 Besides, the kids had a chance to learn on how to be real professional tour guide during the whole trip, how to take care of tourists by putting on name tags on the luggage before getting in the bus, checking number of tourists on the bus in every stop and serving coffee breaks during the trip. 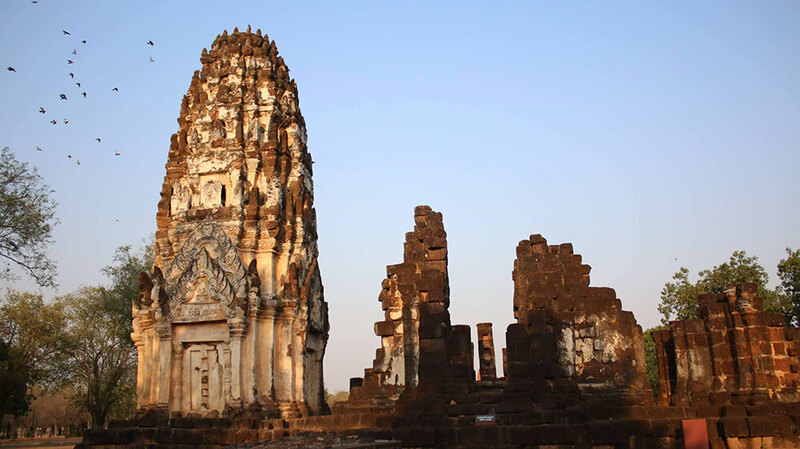 They also had a chance to present historical information from what they have learnt on that day to the audience with feedback from the professional tour guide. The four groups had unique but interesting styles of history telling to present to audience via VDO recording. All we have done is giving opportunities for all these kids to learn, experience and practice. They all show their capabilities in their own ways. Allianz Ayudhya believes in giving these opportunities, together with kids’ interest and commitment. They will be confident to pay it forward in a professional way.